I wish you all a very happy Christmas and hope that this blog entry finds you well. Last year in “A Parliamentarist’s Christmas,” I explored the influences of ecclesiastical architecture on the neo-Gothic style of the Centre Bloc of the Parliament of Canada, the more fundamental medieval, and therefore Christian, origins of the parliamentarism itself, and the biblical basis of our national motto Ad mari usque ad mare. This year, I would like to highlight Her Majesty Queen Elizabeth II’s annual Christmas message itself, and – if you can humour my scholarly pedantry during the holidays – some of the interesting constitutional aspects that the speech raises, namely, the Personal Union, succession, and the Crown as corporation sole. The Queen’s annual Christmas message stands out as one of the Sovereign’s non-constitutional or extra-constitutional functions; as such, the Queen and her staff develop these addresses independent of any ministerial advice. In this case, the Queen acts as representative of the nation and cultural leader, or what one scholar deems “the liturgical function”, rather than in her legal-constitutional capacity as head of state. In the first half of her address, the Queen acknowledged the Diamond Jubilee celebrations that took place throughout the Commonwealth in her honour and highlighted the Personal Union, and thus her roles as Queen of the 16 Commonwealth Realms. In the second half, the Queen emphasized her role as Supreme Governor of the Church of England and her Command-in-Chief of the British Armed Forces. However, the Queen delivered a generic Christian commemoration of the Christ child rather than an explicitly Protestant rendition. The Queen of the United Kingdom performs an unambiguous, sectarian liturgical function; the British Sovereign also acts as the Supreme Governor of the Church of England and must therefore be in communion with the same. However, neither the Queens nor the Governors General of Canada, Australia, and New Zealand take on an equivalent religious function because none of these countries maintain established churches (which, frankly, is a favourable development and an example of how the Realms have improved upon the British model). The natural person of Elizabeth Windsor is vested with 16 separate juristic persons and is therefore simultaneously but separately the Queen of the United Kingdom, Queen of Canada, Queen of Australia, and Queen of New Zealand and Queen of the 12 other Commonwealth Realms. These 16 juristic persons – these 16 Crowns – thus form the “Personal Union” because they are all vested by law in the same natural person. (They are also 16 separate corporations sole). This difference flows naturally into changing the rules that govern succession to the throne, which I have discussed in previous blog entries and in a column that I co-authored with Professor Phil Lagassé. The Prime Ministers of the 16 Commonwealth Realms agreed in November 2011 that the common-law principle of male-preference cognatic primogeniture should be replaced with equal primogeniture and that the Act of Settlement’s penalty of marriage to a Catholic should be repealed. Each of the 16 Realms would have to enact its own legislation in order to change the rules of succession to its Crown. In December 2012, the Cameron government tabled the Succession to the Crown Bill, which would eliminate the provision in the Act of Settlement that removes any person from the line of succession for marriage to a Catholic, but it retains the other statutory requirements that the Sovereign be a Protestant and be head of the Church of England. Currently, any member of the Royal Family could marry a Jew, Muslim, Hindu, atheist, etc. and retain his or her place in the line of succession; only marriage to a Catholic would automatically remove him or her from the line of succession altogether, as prescribed by law. This provision induced a Canadian woman, Autumn Kelly, to convert to Anglicanism before marrying Peter Philips (son of Anne, the Princess Royal) in 2008. If the Succession to the Crown Bill, 2012 had been statute law in 2008, she would not have needed to convert to Anglicanism to prevent Peter Philips, and their issue, from losing their places in the line of succession. Thanks to the feedback from one of my correspondents, I have amended this section and drew the proper distinction between two distinct factors. The British Succession to the Crown Bill, 2012 omits entirely two other separate components of succession: 1. that the Sovereign be a Protestant, and 2. that the Sovereign also be the Supreme Governor of the Church of England. The Bill of Rights, 1689 and the Act of Settlement, 1701 established the Protestant succession and affirmed the Sovereign’s role as Supreme Governor of the Church of England. (The Act of Supremacy, 1534 first established the latter). The first requirement that the Sovereign be a Protestant now extends to the Crowns of all 16 Realms. However, the second requirement that the British Sovereign be the Supreme Governor of the Church of England pertains only to the Crown of the United Kingdom because the other 15 Realms do not maintain established Churches. As such, if the British Parliament wanted to eliminate the Sovereign’s role as the Supreme Governor of the Church of England and/or disestablish the Church of England, the British Government would not need to consult the Realms before repealing either or both because the Sovereign fulfills no formal religious function in any of the other 15 Realms. However, the British would again consult the other Realms before repealing the requirement that the Sovereign be a Protestant in order to keep the Personal Union intact. Each of the 16 Realms would then have to repeal, through legislation or constitutional amendment, the requirement that the Sovereign must be a Protestant. Republicans sometimes assert, incorrectly, that there is no difference between the Queen of the United Kingdom and the Queen of Canada, but the formal and informal religious roles of the Queen of the United Kingdom versus the absence of any such role in Canada (among various other points) proves them wrong. While the Sovereigns of both Canada and the United Kingdom must be Protestants, neither the Queen of Canada nor her vice-regal representatives perform any official religious role as Supreme Governor of any church, because Canada does not maintain an established church. In conclusion, I found Her Majesty’s portrayal of the Personal Union of 16 Crowns incomplete. The Queen acknowledged only the British athletes who competed in the Olympics, not the athletes from all 16 Realms of which she is head of state, and only the personnel in the British Armed Forces who are currently serving overseas. I suspect that the Palace hesitates to emphasize the Queen’s constitutional duties in the other Realms as the Governors General have gained more prominence as her representatives. In Canada, section 15 of the Constitution Act, 1867 vests the command in chief of the Canadian Armed Forces in the Queen, though the Letters Patent have since delegated (not “transferred”) that authority to the Governor General. Formally and constitutionally, the Queen retains the command-in-chief, but in practice the Governor General assumes this role as the Queen’s representative, both in Canada and abroad. In fact, Governor General David Johnston has spent this Christmas abroad boasting the morale of Canadian troops serving overseas. Lord Philip Norton, Professor of Government at the University of Hull and a Conservative Life Peer, wrote of the Queen’s civic and liturgical duties to “set standards of citizenship and family life,” to command the “allegiance of the armed forces,” to “maintain the continuity of British traditions,” and to “preserve a Christian morality.” The Queen of the United Kingdom exemplified all these duties in her Christmas Address. 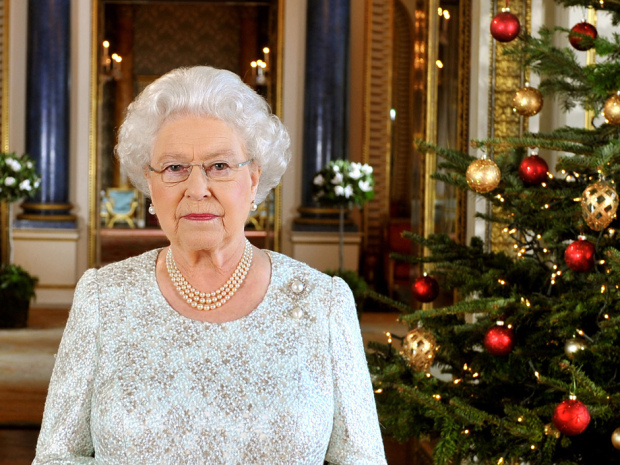 However, I can only conclude that while the Queen of the United Kingdom emphasizes the full civic-liturgical duty and legal-constitutional authority in the Christmas Address, the Queens of Canada, Australia, New Zealand, and the other 12 Realms do not figure prominently therein and appear only peripherally, or even as afterthoughts. Perhaps the Palace does not feel comfortable emphasizing the Crowns of the other Realms independent of the advice of the responsible ministers of those Realms. Sadly, these practices only reinforce republican assertions that the Queen of Canada is a “foreign monarch” and irrelevant to Canada and to Canadians. Paul Benoit, presentation to the Monarchist League on “The Three Threats to Canada’s Constitution,” 4 October 2012; Paul Benoit. “State Ceremonial: The Constitutional Monarch’s Liturgical Authority,” in The Evolving Canadian Crown, edited by Jennifer Smith and D. Michael Jackson, 119-137. (Kingston: Institute of Intergovernmental Relations, School of Policy Studies, Queen’s University, 2012). I will argue in an upcoming article that the British government obtained the “consent” of the Prime Ministers at CHoGM last year through a mere custom, rather than through a constitutional convention, and that none of the 16 Realms could veto the British decision or derogate from the authority of the British Parliament to legislate for the Crown of the United Kingdom. As such, one or more of the 16 Realms could – intentionally or unintentionally – break the Personal Union by refusing or failing to pass the necessary statutory or constitutional amendment. Phil Lagassé, forthcoming article on the Crown as Commander-in-Chief; Christopher McCreery, “Myth and Misunderstanding: The Origins and Meaning of the Letters Patent Constituting the Office of the Governor General, 1947,” in The Evolving Canadian Crown, edited by Jennifer Smith and D. Michael Jackson, 31-54. (Kingston: Institute of Intergovernmental Relations, School of Policy Studies, Queen’s University, 2012). Canada, Government House. “Governor General and Commander-in-Chief of Canada Visited Canadian Troops and Civilians Deployed Abroad for the Holidays,” (Ottawa: Crown Copyright, 25 December 2012). [accessed 25 December 2012]. Philip Norton, “The Crown,” in Politics UK. 5th Ed., edited by Bill Jones et al., 362-387. (Essex, England: Pearson Education Ltd., 2004). This entry was posted in Corporation Sole, Crown (Powers and Office), Succession (Sovereign), The Personal Union and tagged Christopher McCreery, David Johnston, David Onley, Lord Norton, monarchical succession, Paul Benoit, personal union, Philippe Lagassé, Queen Elizabeth II. Bookmark the permalink.